Little Dog is a Canadian 30 minute scripted comedy television series, which kicked off on March 1, 2018, on CBC and is broadcast every Thursday at 21:30. The show is currently in its 2nd season. CBC is yet to announce the renewal of Little Dog for Season 3 as well as its cancelation. Sign up to track down the show's status and its release date. 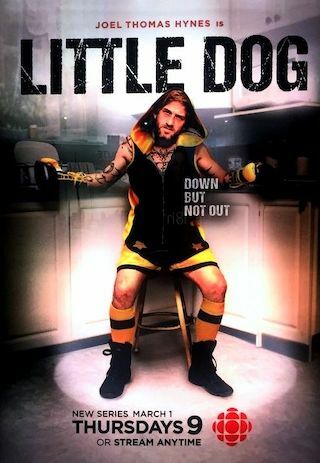 Little Dog is the story of lightweight boxer Tommy "Little Dog" Ross, and his haphazard quest for redemption. One fateful night five years ago, Tommy betrayed the boxer's code of conduct during a championship bout against Rico "Havoc" St. George  he dropped his gloves in the middle of a round and quit the fight, dumping a promising career down the drain. Tommy has had to live with the fallout of this decision ever since. Now Tommy has the chance for a rematch and his family isn't sure what to think. Sure, they all loved lapping up the glory of Tommy's spotlight  but living in the shadow of his humiliating defeat was more than they could bear. If he fights again, will it bring shame or glory? Tommy's mother Sylvia, a failed singer, will prove yet again to be Tommy's true nemesis in his not-quite heroic return to the ruthless world of boxing. Tommy is a broken, would-be champion, trying to survive within an outrageously dysfunctional family. If the training doesn't break him, his scheming relatives certainly will do their damnedest to finish the job.